What a story! Congratulations on a great find. It is so wonderful for John and his family. Amazing! I'm trying to imagine all the reactions. You must have been stunned. This is great news and an amazing project to be undertaking! I can't wait to see what results come of it! Great post and what a gift that John now has a better understanding of his ancestry - however surprising it turned out to be. In genealogy. I've had some of those surprise ancestors too, the latest a Puritan. Talk about unexpected!! I am absolutely amazed with this wonderful story. How excited your brother-in-law and his family must be to finally know their ancestry! Genetic genealogy is here to stay. Good luck. This will be an interesting find as it appears that in the descent of the other children besides Eston, the Y-DNA was different; but, this could have occurred as downstream non-paternal events. An autosomal study would be the only way to prove this. It should prove interesting. I hope you find something of note. I just read about the Y study in "Surnames, DNA, & Family History." While it's highly likely your brother-in-law is a Jefferson descendant, which Jefferson is probably impossible to prove. Credible arguments have been made for Thomas, his brother Randolph, and others. Maybe you'll be able to sort it out with autosomal testing, but I'd bet the surviving segments will be too small to make any definitive conclusions. At any rate, it's a fascinating project. Good luck! Fascinating! I look forward to your future updates. One of the things I find fascinating and enlightening about all this is how it blurs or even erases our distinctions of race and family. That in turn should change or erase many of our attitudes and assumptions about racial differences and what race we assume we 'are'. I think in particular, it raises the possibility that a surprising number of people who assume they are 'entirely white' or Caucasian actually have some Black African ancestry. While the story is interesting it is time to inform him that a team of 13 prominent scholars found NO proof that Thomas Jefferson fathered any slave child. I refer the reader to www.tjheritage.org and www.jeffersondnastudy.com for FULL and TRUTHFUL details of the DNA Study which I personally participated in with Dr E.A. Foster. I suggest that all interested read the several books there that EXPOSE this false assumption. It is all a "slavery study" being carried out by Monticello and they and their friends have a vested interest in misleading the public in my opinion and in my long research. NOTHING gives credence to this man's claim. Dr Foster clouded the research by testing a KNOWN carrier of both Hemings and Jefferson DNA, not telling Nature, as I suggested, that in all probability there would be a match, BECAUSE this man's ancestor's family (Eston Hemings, son of Sally), had always claimed descent from "A Jefferson uncle or nephew." This translates to TJ's much younger brother, Randolph and his sons. Dr Foster worked closely with Nature to perfect a FALSE and misleading headline, "Jefferson fathers slave's last child." The media immediately grabbed it and Dr Dan Jordan, Presaident of Monticello was quick to jump on it without proper and truthful research because it would boost the story of slavery at Monticello (see Jefferson Legacies)and enhance the FALSE displays at Monticello and the Smithsonian. Their agenda is being played out by writers being invited to the Smith Thomas Jefferson Studies Institute at Monticello. The authors are wined, dined and provided lodging and then they write the "same old biased and one sided information." 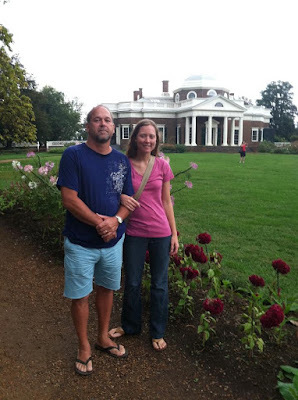 Dr Ken Wallenborn, then a Monticello top guide and member of the ALL in-house study group that had a mission to find TJ guilty as reported by Dr Wallenborn in a MInority Report that was completely "swept under the rug" and not originally published by Dr. Dan Jordan, Monticello President. I "got wind" of this deception and contacted Thomas Jefferson Memorial Foundation Chairman, Brent Halsey whose action resulted in the Minority Report being released and Dr Wallenborn apologized to. By the way, MEMORIAL was dropped from the title of the owners of Monticello, but who are they now memorializing........see the displays at Monticello and Smithsonian. 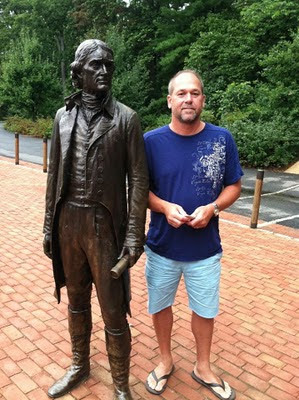 I find it discouraging all these people like Herb Barger and others are so Quick to Defend Thomas Jefferson. All the while making it out Sally Hemings could of "slept" with any of the Jefferson men, even going as far as to say when they were on Monticello. How about standing up for Sally Hemings and trying to help prove her lineage and children's Father. She is often referred as a afterthought and presented as like they always do as "Chattel" and not a person of any stature. I find all your online writings Herb disheartening. One thing is for sure, these Descendents you so quick to dispel their Paternity have a DNA right and claim to be included in Thomas Jefferson's Legacy regardless to much evidence shows they are part of this Family in some capacity DNA wise. Stop the moral high road and putting Jefferson on some high moral highroad. I hope all the Descendents of Sally Hemings keep the fight up and continue to keep proving Barger just as wrong. Eventually the TRUTH will be Told. Great Post CeCe! This is great. Madison Hemings was interviewed in 1873 and his interview was published by the Pike County Republican in Waverly, Ohio. In the interview he stated that Thomas Jefferson was his father and Sally Hemings was his mother. He had been born in 1805 and had lived in Montecello until after the death of Thomas Jefferson in 1826. He was provided for in the will of Thomas Jefferson. He was survived only by daughters as he had no sons. I am surprised that this person had not been contacted earlier as we have been searching for descendants of any of the four surviving children of Sally Hemings, Beverley, Harriet, Madison and Eston. It is important that this man be DNA tested and the results publicly posted in a place such as gedmatch where we can all see the results. Otherwise, the objections of Herbert Barger and others who are always attacking and disparaging this story will not be put to rest.